We provide quality work on every project. Contech has the capabilities to execute turnkey projects. From setting poles and running 38 kV to installing transmitters, cable tray, conduit, fiber, MCC, etc. 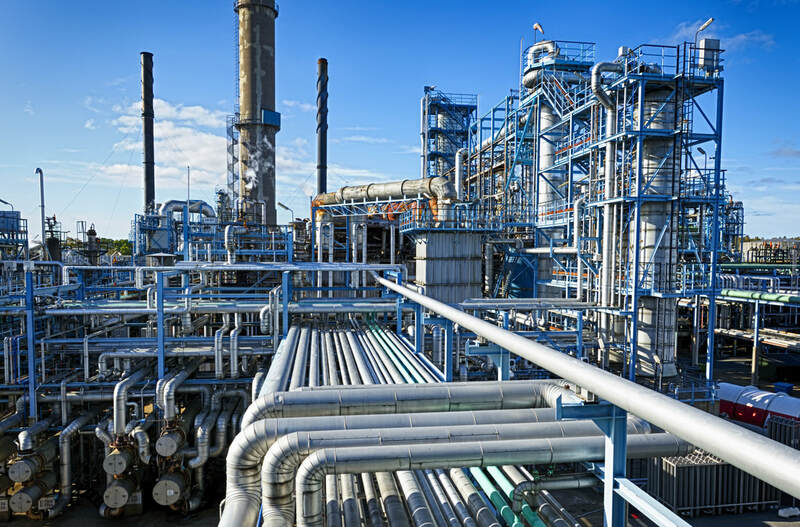 Contech’s construction team is adept at not only executing stand-alone construction projects, but also in collaborating with our engineering team, to ensure the successful completion of process control systems and analyzer projects. 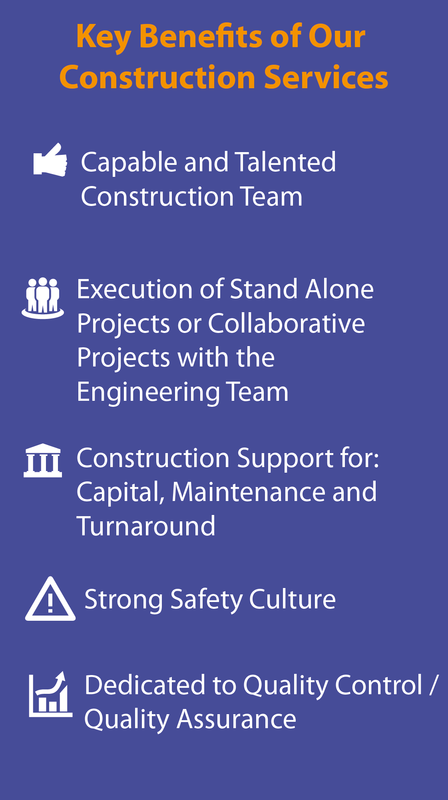 Our capabilities allow us to provide three types of construction support: Capital, Maintenance and Turnaround Support. Our capabilities allow us to support our customers by providing three types of construction support: Capital, Maintenance and Turnaround Support. Capital – On occasion, a project must be fast-tracked, in order to meet an escalated project schedule. Because our construction team becomes a part of every turnkey project, the Project Manager works with the construction team, to ensure that all projects are completed on time and within budget. By reducing the risk and increasing consistency, with one team, this process ensures project success. 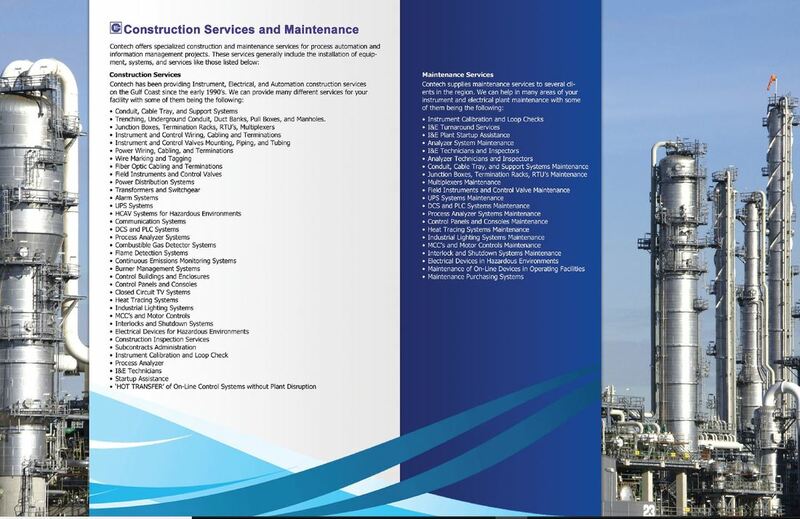 Maintenance – for some of our best customers, Contech provides embedded maintenance resources onsite. The electrical and instrumentation personnel assigned to a customer’s site, become an extension of the I&E department at that location. Very often, our customers’ resources and their availability are limited, due to daily activities that are critical to the success of the operation. Our onsite teams relieve the pressure of ongoing maintenance tasks that allow the customer’s personnel the opportunity to effectively support the day-to-day operations. Turnaround Support – On an as-needed basis, Contech will provide electrical and instrumentation personnel for short durations, typically driven by the schedule of pre-turnaround or turnaround support tasks. The requests that we commonly receive can range from a few individuals to over 100 people. In some cases, we have customers that wish to keep a small staff onsite after the turnaround.